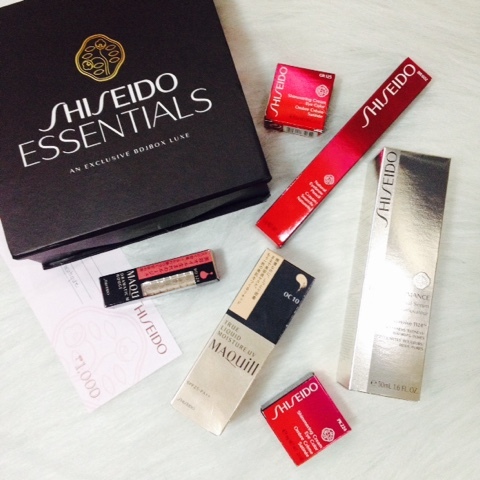 Shiseido Essentials: An Exclusive BDJBox Luxe | Vanity and Everything in Between. Something black surprised me last Thursday. I knew BDJ released a new Luxe box and I honestly wasn't expecting to receive it. But when I called the house to ask if I have any packages, there was apparently two packages. I was only expecting one. I asked if it was a box and asked our house help to open it. 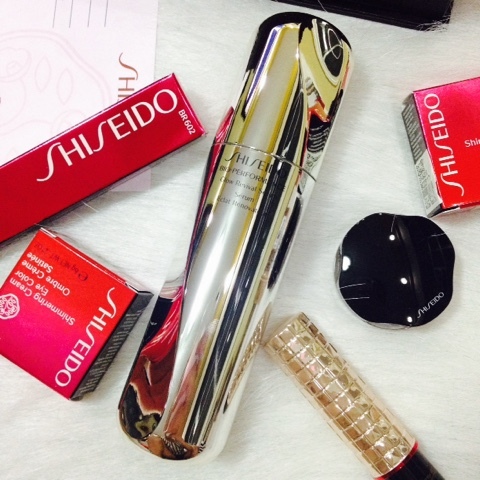 Then she read it: Shiseido! I swear I wanted to go home the moment I heard that! Majority of the items are makeup! Yessssss! There's also a gift certificate (free makeover at any Shiseido branch) worth PhP1,000! If I'm not mistaken, these shades were released this year. It's part of the SS2015 Collection. 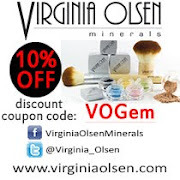 The shades can be used during day time and compliments all skin tone. 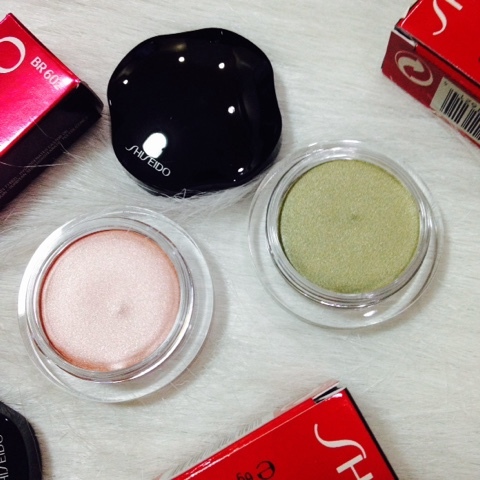 If you have brown eyes, the green one will suit your eyes best! You can use this as an eyeshadow or an eyeshadow base to layer colours. 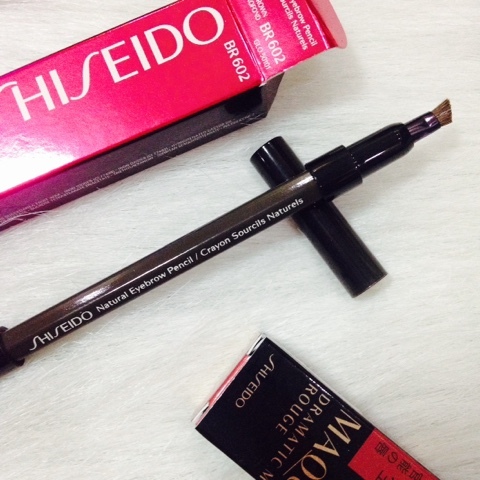 This is one of Shiseido's bestseller products! Women just love perfect brows! This is the first time that I encountered a brow pencil with a brow brush at the bottom. It usually comes with a spoolie or none at all. I got a brown shade and I've started using it. Loving it so far! I saw this product during Shiseido's International Beauty Fair this year and I got myself a small bottle (30ml). The one included in the BDJBox Luxe is 50ml. This product promises to minimise wrinkles and reduce discolouration and redness on the face. This is a moisturising lipstick that melts in your lips keeping it moisturised. 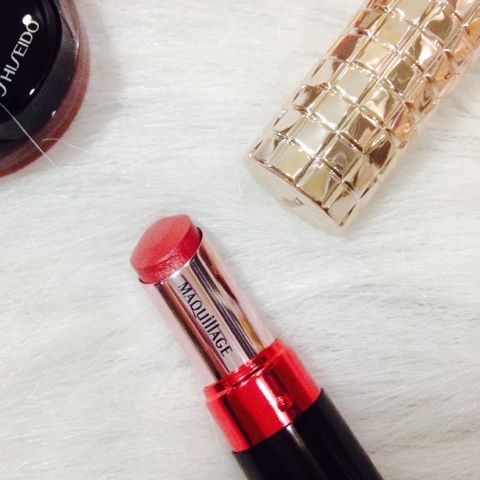 The shade is perfect for everyday! 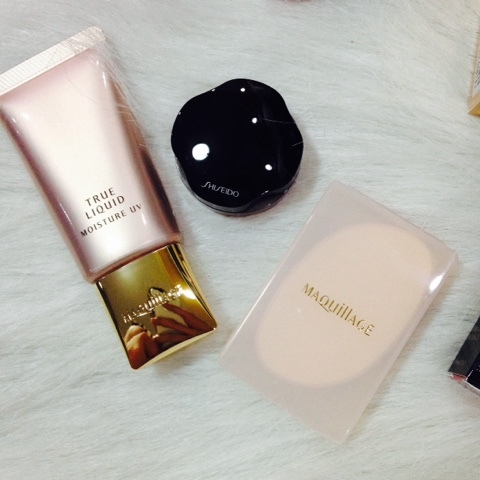 This is the first time I'm trying a liquid foundation from Maquillage! I've tried their powder foundation before and I liked it but I never repurchased because I got a different Shiseido (liquid) foundation. Haven't tried this yet but from the description, this seems like a matte liquid foundation! There are two sets of this BDJBox Luxe. The one I received is Set B. The only difference I can see on Set A is that the eye cream shadows are purple and pink. 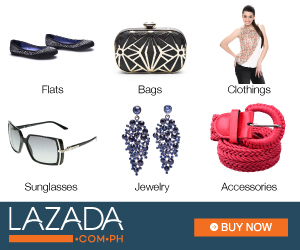 If you add everything, total amount for these products will cost you a whopping PhP14,000. However, you can get this for only PhP5,800 at BDJ Box! Just send an e-mail to yani@ilovebdj.com to order! Set B is already sold out! Better get your hands on Set A. This box is such a steal! Consider it as an early Christmas present to yourself!